Will CJ co-create BTS’ younger sibling? 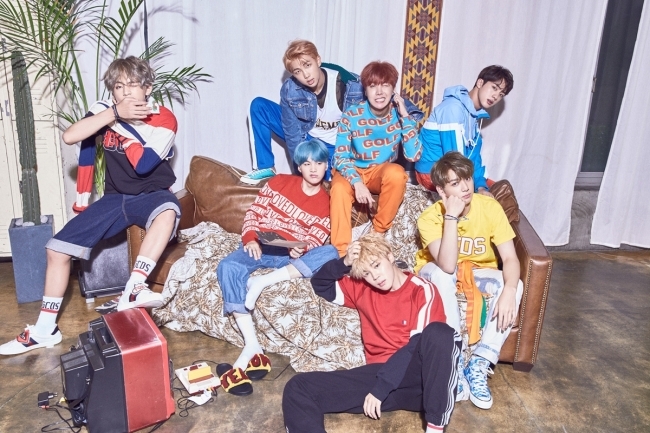 CJ ENM is already the biggest company in the Korean entertainment industry today, but it could be heading for an even bigger presence in the global market, as the agency of BTS -- arguably the biggest star in K-pop at the moment -- is joining its massive family. The entertainment behemoth will collaborate with Big Hit Entertainment to launch an entertainment venture firm later in the month, according to local media reports. The CJ affiliate will have a 51 percent stake and Big Hit will hold 49 percent of Belief -- the tentative name of the new company -- which will have 7 billion won ($6.25 million) in gross capital. The goal of the new partnership is to foster an idol group with global popularity, and its initial plan is to hold an international audition program in the first half of next year. The joint venture marks the two companies’ attempt to shift the power dynamics in the entertainment sector. Although it started out as a medium-sized label, Big Hit Entertainment has seen its value surge exponentially thanks to the worldwide popularity of BTS. While an initial public offering has yet to take place, Big Hit Entertainment’s current value is estimated in the range of at least 800 billion won. This number is deduced from Netmarble’s acquisition of 25.17 percent of the company’s shares in April at 20.14 billion won. With the skyrocketing popularity of BTS, industry experts estimate that the company’s overall value could exceed 1 trillion won, a figure briefly reached only by S.M. Entertainment and YG Entertainment in the past. This would make Big Hit Entertainment the most valuable entertainment agency in Korea, surpassing the so-called “big three” -- S.M., YG and JYP Entertainment. However, the stock value of entertainment companies has been known to fluctuate drastically in relation to what happens to its stars. In 2014, S.M. saw its stock price plummet by 14.87 percent when former EXO member Luhan filed charges against the agency, resulting in 112.6 billion won going up in smoke. Unlike S.M., which has an army of K-pop acts at its command, BTS is about the only marketable commodity for Big Hit Entertainment, meaning that its value could be even more volatile. Joining forces with the most powerful company in the entertainment sector could bring stability to Big Hit Entertainment’s recently upgraded status. As for CJ, it will give the company a chance to foster a K-pop superstar group with a company that has produced the first K-pop boy band to become hugely popular in the North American market. The entertainment giant has a number of affiliates with prominent musicians like VIXX and Jay Park, but they had already been established as stars before their companies joined CJ ENM. CJ ENM’s project groups from Mnet’s audition programs -- Wanna One and the now-defunct I.O.I -- have been major commercial successes, but both of them had expiration dates. This was because all the participants of the “Produce 101” series were already under contracts with various agencies. The new audition program, however, will discover talent to sign with the new firm.